← Ready. Set. WRITE! The last update! 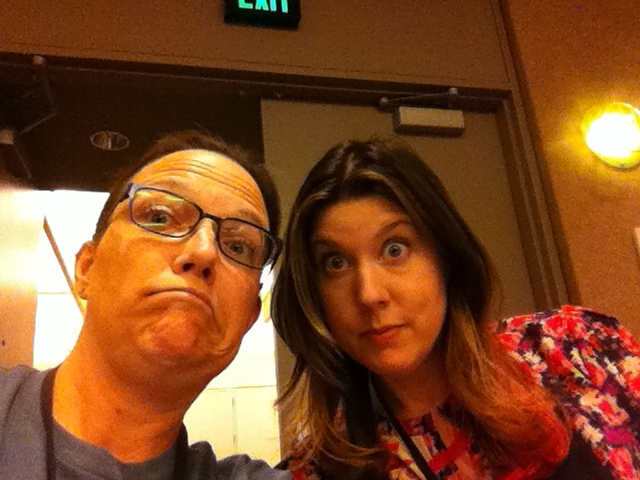 Anyhow, Hank and John Green were the brains behind this awesome con. I heard about it several months ago and barely hesitated before purchasing the tickets for myself and my daughter. Best. Purchase. Ever. The overarching theme of the two-day event was “Why Stories Matter” and there were so many awesome panels with authors I admire and the best part was discovering a few new writers whose books I’ll be reading, solely based on their awesome personalities on the panels. 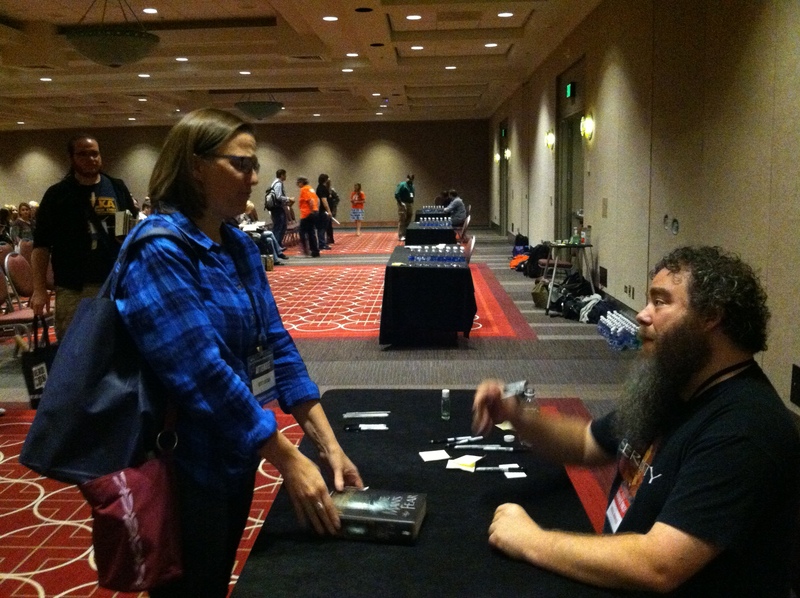 I have never been to any kind of “con” before so I have to admit I was totally starstruck when seeing some of my favorite authors walking the halls. For the most part I left them alone because you could tell they were scurrying from one panel to the next or from panel to signing, etc. But I also spent some time just hanging out on a bench people watching and it was so cool to see people like Maureen Johnson, Holly Black, Stephanie Perkins, Mara Wilson, Maggie Stiefvater, Rainbow Rowell… all just stopping to take selfies and say hello to people whenever they could. So many awesome authors. The whole crew from the Welcome to Nightvale podcast was there and shenanigans ensued. The New York Neo-Futurists (which includes several of the Nightvale folks) performed “Too Much Light Makes the Baby Go Blind” which is their “attempt” (their word) to perform 30 plays in 60 minutes. It was like nothing I’ve ever seen. One minute you were laughing, then crying, then learning something, then trying to figure out what in the heck they were trying to say. It was crazy. And awesome. My daughter got signatures from the whole Nightvale crew, Maggie Stiefvater, Mara Wilson, and John Scalzi (whose books she had never read… she picked one up just prior to the signing, read the first chapter and became an insta-fan!). Sadly, she could not get into either one of the Hank Green signings. It was chaos. John Green was there, but did not do a signing. My daughter thinks it’s because it would’ve been too crazy (she’s probably right). Other highlights: I almost ran Mara Wilson over as I was heading into the bathroom and she was heading out (smooth, right? sorry Mathilda!). We both said, “Oh sorry, excuse me,” at the exact same time. Is Mara Wilson from the mid-west?! My daughter washed her hands standing next to Holly Black, who was touching up her awesome blue lipstick. I told her she should’ve asked for make-up tips. 🙂 And then there’s the story of Jake the Tech Guy. Jake the Tech Guy became a celebrity on Saturday night when he saved the day during Open Mic. The audio stopped working and Jake came to the rescue. Dessa Darling – who was emceeing – gave Jake his props, got the crowd chanting for him and then started a signature line for him. That’s the kind of cool, spontaneous stuff that happened at Nerdcon. 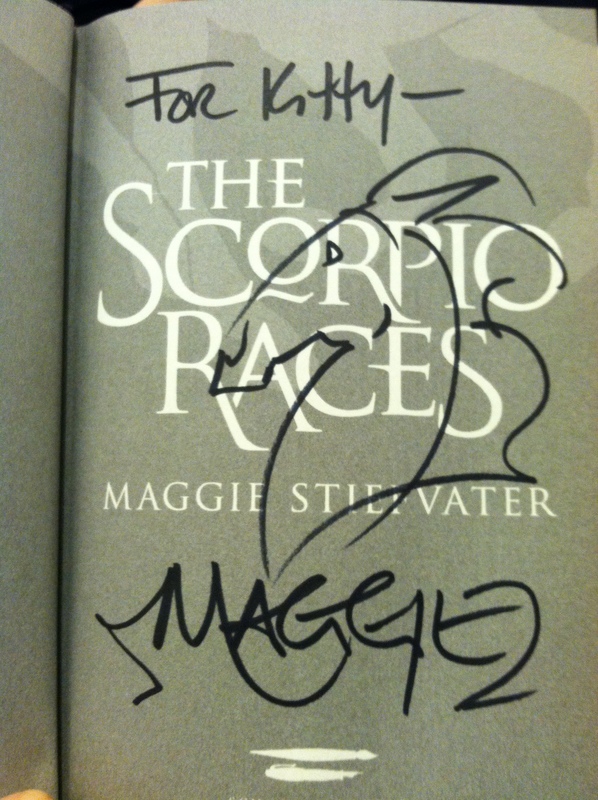 Arguably one of the best parts of the weekend was not an official part of the event: Maggie Stiefvater had challenged John Green to a race on Twitter months before the event and it was ON! They set it up with a nearby race track and on Friday night Maggie and John went off to race – with lots of the Nerdcon attendees following them, it seems. My daughter and I didn’t go but there is video! Which is great because you would probably not believe me when I say that John Green’s car CAUGHT ON FIRE. This video is kind of long – his car lights up at about the 5 minute mark. And I mean, it legitimately lights up. It’s not just smoking! It’s pretty freaky! As I said, I’ve never been to any kind of con before. This was really an awesome experience and one that I’m particularly happy that I shared with my kiddo! If you ever get the chance to go to something like this – don’t hesitate. According to their Twitter account (@nerdconstories) they are 100% planning to do it again next year. Yay! It was really fun but I am still exhausted! My daughter said last night, “I really hope Nerdcon 2016 will be in Minneapolis again,” and I said, “Yes, that would be great… we’ll find a friend to go with you!” 🙂 I will probably change my mind by then, though! It was an amazing experience.